A five-hour hair rebonding process means spending a considerable amount of time in a beauty salon. For the first hour I've read all the fashion magazines scattered within the place. The next hour, I've managed to check emails and FB messages. To pass up the rest of the time, I interviewed the salon owner. Meet Oskee Cabeltis. He was born and raised in Leyte. He is the 9th among 11 children. 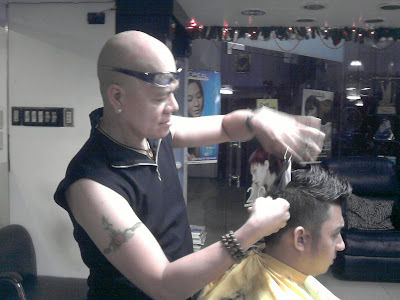 He went to Olongapo in 1986 and worked in a small salon until 1987. From 1988 to 1989, Oskee's older brother sent him to a school in Manila to study HRM, unfortunately, Oskee's brother passed away early due to heart attack. Oskee had no choice but to stop schooling. He decided to work under the renowned beauty expert - Ricky Reyes, staying there for seven years. 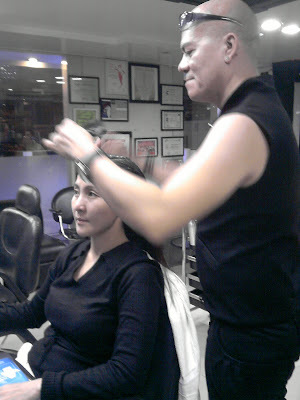 Then Oskee worked for Ness Astilla Salon for 15 years. Last April, he decided to put up his own salon, simply coined under his name: OSKEE CABELTIS. Oskee believes that hardwork and perseverance are the keys to his success. He added that one must know how to budget his or her finances very well. Oskee divides his earnings in five parts: 1 part goes to his parents and siblings, another goes to his basic needs and hobbies, the rest of the 3 parts goes to his savings. Because Oskee managed his income well, he already owns a condo unit and has traveled around Asia. Just like me, one of Oskee's client found his story worth writing. The client then submitted a draft of Oskee's life story to her producer. So, soon Oskee will be featured in a popular inspirational show in ABS-CBN. Yesterday, Juan said he heard footsteps and some noise downstairs. He even added that he found evidence of Santa visiting our home, so he hurriedly look to check if the toy he wished for is under the Christmas tree. Lo and behold, it was not there! John and I asked him if he wrote Santa a letter. Juan said he did. John and I couldn't find the letter so we had no clue as to what toy he was expecting. Juan, as of this writing, is still hoping and wishing he'd get that toy on New Year's Eve. Our nine year old twin kids, on the other hand have outgrown Santa. Last year maybe the turning point when they've realized that Santa and Mrs. Santa is just Dad and Mom. How'd they found out? Due to time constraint, I signed Love Santa instead of printing it. Julia said, "Mom, Santa's handwriting looks just like yours, and he even have the same rubber stickers you have in your scrap booking box". Well, how's that for evidence? BELATED MERRY CHRISTMAS TO ALL, HO!HO!HO! 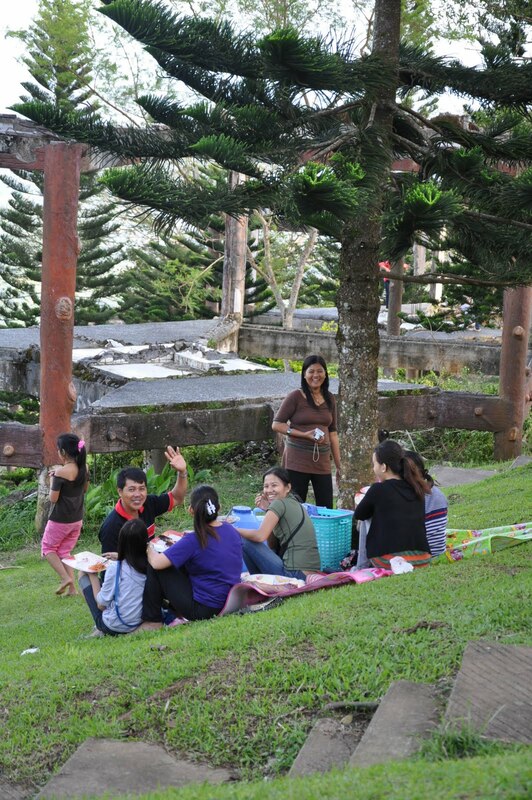 We visit Tagaytay at least once a month to feel the breeze of the place and cool down from the busy city life. Last Friday, we've decided to check out Picnic Grove, my children and their cousins had fun time together as they stroll along the park. What caught my attention are the beautiful scenes from strangers. Starting off with this cute little boy, named ZK. His long hair reminded of a smart and equally cute little boy I met last Christmas eve. ZK gamely posted for this shot. His parents beamed with pride as I clicked the camera's button. Almost about to leave the place when I heard beautiful songs from somewhere. I followed where the voices were coming from - and it was from this group of young men. Seeing group of friends bond together was a wonderful sight as they bring back good old memories with friends of my own. There's nothing lovelier than seeing a family travel together. This family were having picnic when I took the shot. I even asked (more like shout) if I can eat with them. They gamely nodded and waved for me to come over. My daughter, who's extremely mahiyain said, "Mom, are you really going there?". I replied, "yes, why not, they said yes to me". Julia begged, "Mom, but it's their food". I hugged her and said, "I'm just joking, anak". But then again I was having second thoughts - hmmm, makikain kaya ako? My friend, Sie, emailed asking why I don't post much lately. Well, it is because I'm most busy on December - preparing gifts to family, friends and over a hundred Godchildren. Yes, 100++Godchildren ! I've lost count already but I keep a list of all of them - including their birthdays and the names of their parents. I started to become a Godmother at age 11. My first inaanak is now 27 years old with three kids of her own. When I was a kid, Christmas is a sad time for me because I don't get to see my Godparents - which means I won't receive a gift. 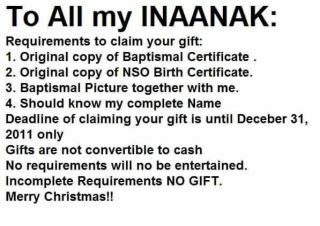 When I became a Ninang, I vowed to remember all my Godchildren, making sure to send gifts every Christmas. My policy though is no more gifts from Ninang Joy when they turn 18 but they are all welcome to receive a gift of advice and a little wisdom from me should they need one. Being a Godparent is not just about gift giving. I take it to heart. I'm humbled and honored that the parents of all my Godchildren entrusted and considered me to be the second parent to their children. Last year, Julia and Rafael beat my record for being Godparents by age 8 (that's 3 years younger!) to their nephew, Yuwan. I'm excited for the 100th++ times! Lack of safe water and sanitation are the main priorities for those responding to the emergency in Mindanao. UNICEF is co-leading the water and sanitation response with the government, UN and NGOs to respond to the needs of children and families affected by tropical storm Sendong. The flooding has affected more than 63,000 families or 338,000 individuals half of them children in some 260 barangays (villages). UNICEF has dispatched supplies to the affected areas including: water kits, water treatment, to ensure safe, clean water; hygiene kits containing soap, toothbrushes and personal hygiene items. Donate through UNICEF Philippines and help children and families in Mindanao affected by Sendong. UNICEF is also preparing to send tents and tarpaulins for temporary shelter; vitamin A for mothers and infants; breastfeeding education materials to reduce the risk of infant mortality; and recreation kits so children can play and begin to have a sense of normalcy. Donate now through UNICEF Philippines. Log on to www.unicef.ph or https://donate.unicef.ph. You may also call (632) 758-1000 or (632) 758-1442. Check out UNICEF Philippines' social media accounts: Facebook (Facebook.com/unicefphilippines) and Twitter (Twitter.com/unicefphils). For local wire transfers, you may deposit your donation to UNICEF Philippines' Metrobank account: UNICEF C/A No: 066-7-06631209-3 and for international wire transfers: UNICEF C/A no: 066-7-00141392-5 with Swift Code: MBTCPHMM. UNICEF Philippines has Fundraisers on the ground in partner malls. For corporate donations, contact Ms. George Belardo at gbelardo@unicef.org and mobile number +639178844982. SM Malls lined up a series of musical entitled, It's Christmas! A Christmas ChriSMs Musical. I was fortunate to watched the first of its series yesterday at SM Megamall. 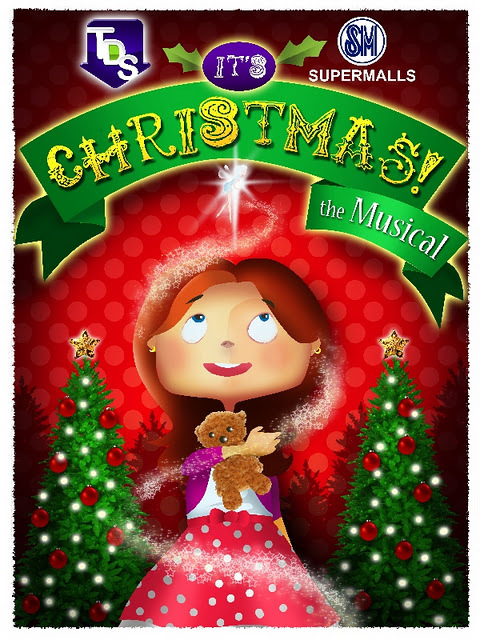 The whole family will enjoy watching this musical. What's best - it's FREE! As the old saying goes, "hair is the crowning glory", this is why women, as well as men, take extra effort in making their hair look great. When I was young, my hair was super straight and shiny that hair clips would just fall off, so my grandmother decided to have my hair curled. When I reached college, I noticed that my hair started to get a bit curly and dry. It was during that time when hair straightening was at its peak that I gave it a try. Later on, hair rebonding was introduced in the market. From then on, every year, I'd have my hair rebonded. My husband and my closest friends know when I would be feeling upset, lazy, refused to socialize, won't eat, won't sleep and not joyful...well, drama lang, not true at all. I just don't like it when rebel hair starts to pop on top of my head. Who wouldn't want a fabulous looking hair, by the way!!! Last week, I visited Oskee Cabeltis Salon at the Ground Floor of The Venue Tower, Boni Avenue, Mandaluyong (the same building where Club Mwah is housed) for that much deserved me-time. After the whole 5 hour process...ika nga ni Gretchen Barreto, "no more tali time!". Here's another fun-filled activity for the kids that they will truly enjoy. 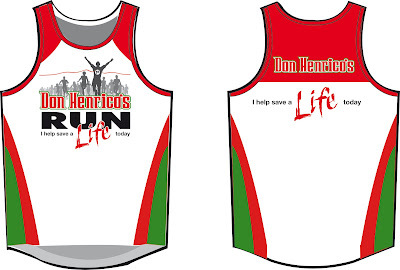 Consider this your Christmas present to society - local Italian restaurant Don Henrico's is going outside of its usual venture this December with a new found purpose of saving lives, courtesy of a charity marathon event. 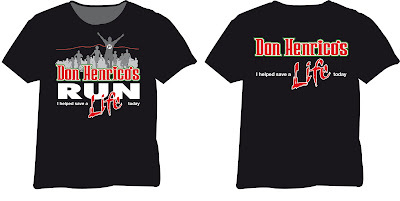 Named the 1st Don Henrico's Run: Help Save a Life today, this urban race aims to aid the Sagip Buhay Medical Foundation, a local organization that provides medications to our les fortunate brothers and sisters admitted at the Medicine Wards and ICUs of the Philippine General Hospital in Manila. The run will take place at the CCP Complex, Pasay City on December 17, 2011 at exactly 3:30pm - just in time to catch a glimpse of the scenic view of the sunset bay, according to the organizers. Clever idea. Interested participants can register at 3K, 5K, and 10K races at all Don Henrico's outlets in Metro Manila from October 25 to December 15, 2011. Upon registration (registration fee is P600 for the 3 category); registered runners will automatically get their race kits that include a singlet, a bib number, and an exclusive post event shirt. · P3, 000 / P2, 000 & P1, 000 for the top 3 winners of 3K run. The entire proceeds for this event will help provide assistance to healthcare professionals at the said hospital, which inevitably leads to more financially dependable patients getting treatment and more lives saved. "One of the brand's mission statements is to share and help improve the quality of life in the community that we serve," says Anthony Mercado, Corporate Marketing Manager of Don Henrico's Pizza Foods Corporation. 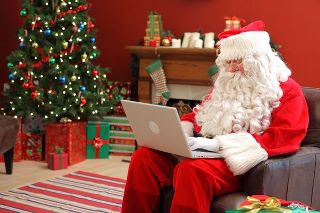 "And what a better way to celebrate the Christmas season than to do something you love at the income of those in need." The Management of Don Henrico’s really appreciates the support that Chris Sports extended to this very first CSR (Corporate Social Responsibility) project initiated by the brand. Being Don Henrico’s partner as official registration centers of Don Henrico’s RUN makes this event more popular and much accepted by running enthusiasts, local and foreign runners. For more information on this run, log on to www.donhenricos.net/run <http://www.donhenricos.net/run>. For queries and suggestions, participants can also get in touch with Mr. Mercado at 0922-8741337 or visit the Don Henrico’s fanpage on Facebook: Don Henrico’s Pizza Foods Corporation. "A New Year...A New You...Start the year right with Soyami!" Start the New Year right with a proper diet and proper selection of healthy foods. Live and enjoy a healthy lifestyle! Make this "new year," a "new you"! 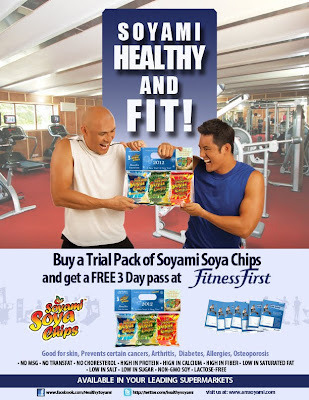 Because there’s nothing like the gift of good health this coming year so we present to you a special limited offer of with every purchase of a trial pack of Soyami Soya Chips from us, you'll receive a 3 day FREE pass from the top fitness gym in the Philippines -- Fitness First. So hurry and grab your Soyami Soya Chips Trial Pack now and start snacking healthy. Make the right choice with Fitness First and Soyami! *Now available in leading supermarkets and groceries and in convenience stores throughout Metro Manila, Cebu and Davao. Filipinos are known for celebrating Christmas in grand style. We spend it with elementary friends, high school friends, college friends, neighbors, relatives, co-workers, church mates so on and so forth. We even spend Christmas parties in charitable institutions, such as orphanages, golden acres and institutions for disable. The least we could think of is a place or institute for social outcasts like a jail or prison. Even some of my closest friends asked me why give to such an institution while you can give somewhere else. One of them even told me, what if they shot you there or do something bad with you all. I told her "not very many would want to be with them because of the wrong choices and actions they have made, I added, "we're all sinners at one point in our lives, but God continues to forgive us. Who am I to judge our fellow who are behind bars? This activity is beyond charity - it's more about love and understanding. So off I went at Mandaluyong City Jail last November 21. I made a program that includes games and some magic shows, but when we arrived at the venue I was given a cue card complete with the activities that the inmates prepared. They wanted to surprise us with song and dance numbers as their way of thanking us for sharing time with them. Gift giving followed immediately right after the program. Food was served in their cells. Happiness was overflowing although all of us cried. 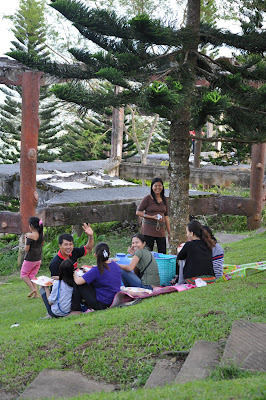 The inmates were thankful that we took time out in spending an early Christmas party with them. I told them in my closing remarks that they actually made us happy knowing that life is to be valued not only with family and friends but also with strangers longing for love and understanding. Special thanks goes to Jes Lising, Nora Aquino, Jing Javier, Olga Espino and Joan Borlaza for the help they extended. 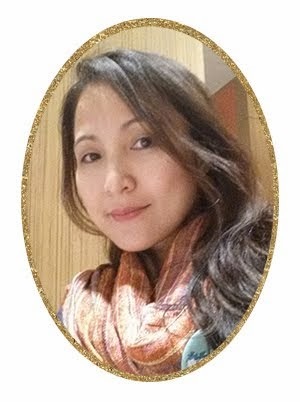 Big gratitude to my friend, Lyn Borje, who happily shared her time and effort in this endeavor. Our group headed by Ate Glo (she prefers not to be seen) mahiyain e.